I have worked as a Eurhythmics teacher for more than 30 years. I am Senior Lecturer in Dalcroze Eurhythmics at the Royal College of Music in Stockholm, where I teach in future and current music teachers. I am also an author, writing books about Eurhtyhmics and music education, and teach at various courses/workshops for teachers and church musicians. Here are some examples of the areas in which I work. 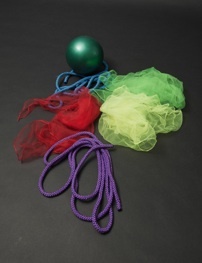 Dalcroze Eurhythmics is a method of teaching music through movement. Movement is used in two ways: as impressions, meaning help in perceiving, learning and understanding music, and as expression and interpretation of music. The teaching often takes place in groups and includes elements of improvisation and cooperation in various forms. In the class the participants switch between different sensory modalities and work with both sight, hearing, and physical impression. The shaping of music through the interaction of our hearing, vision, and bodies, is one of the cornerstones of Eurhythmics. Eurhythmics is not a “set of exercises” or a “fixed repertoire”. Instead it is an attitude, a way of thinking, which can be used for all ages, with different styles of music and on different levels – from beginners to professional musicians. Dalcroze Eurhythmics was founded in the beginning of 1900 by the Swiss music educator Émile Jaques-Dalcroze. Since then it has developed and grown worldwide. Eurhythmics attracts a great deal of interest and is used not only in music teaching but in other fields as well, for example in teaching dance and drama, as well as in special needs education and activities aimed at strengthening groups. Eurhythmics is commonly considered to be a kind of holistic teaching approach because it involves body, intellect, and emotions. Here you can find literature and more information about Dalcroze Eurhythmics. 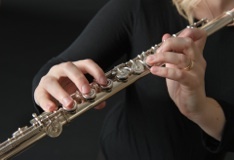 Since the start in the early 1900s Eurhythmics has been used as support for various forms of instrumental teaching. I have continued in this tradition, both together with instrumental teachers and on my own. I have also studied current research on motor development and applied this in my teaching. With scarves in your hands, the ear-training exercises turn into playtime, and with a ball the pulse training becomes an exhilarating change. It never fails. 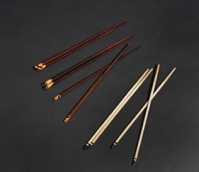 Every time I hand out objects during a lesson, the class becomes playful and energetic. I have not yet met anyone who didn’t want to bounce the ball or create rhythm with a broom. 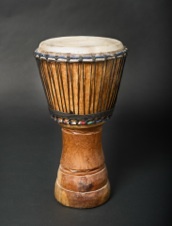 You can use objects both to learn and understand music, and to express and interpret music. You can also make different kinds of sounds and use objects as percussion instruments. 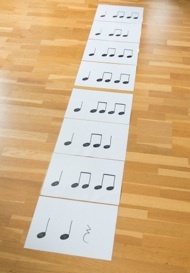 Eurhythmics is a good way to learn music theory and how to read music. Through practical and joyful activities the group can explore the musical content and apply it in a musical context. “Sound before symbol.” Practise always comes first. After the practical experience, the participants can reflect on what they have experienced. Then analysis and theory will follow. There has always been a strong relationship between singing and movement. Through Eurhythmics we can strengthen this connection and use movements as a learning tool. Movements can be used for learning songs, different parts, text, and structure, and also for ear training, and strengthening interaction and cooperation. The Dalcroze approach can be used for all kinds of choirs, whether with children, young people, or adults. During my travels in South Africa I have learned traditional gumboot dancing. This dance started in the mines in the 1800s and developed during the 1900s. After the democracy in 1994, the gumboot dance became an important part of the culture, and can be seen at schools, in shows, in street busking and many other places. Gumboot dancing is a fun and enjoyable form of body percussion. Through stomping, clapping, and slapping the gumboots various rhythms occur. Gumboot dance can easily be used in music education for practicing rhythm, timing, and interaction, or as accompaniment to choral singing and instrumental playing. 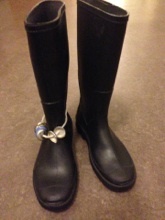 One can also dance gumboot dance as coordination training or as a social activity. I have put together some of my experiences in the book Playing Music with the Whole Body. This book describes the basic principles of the Dalcroze approach as well as some practical exercises and lesson planning. 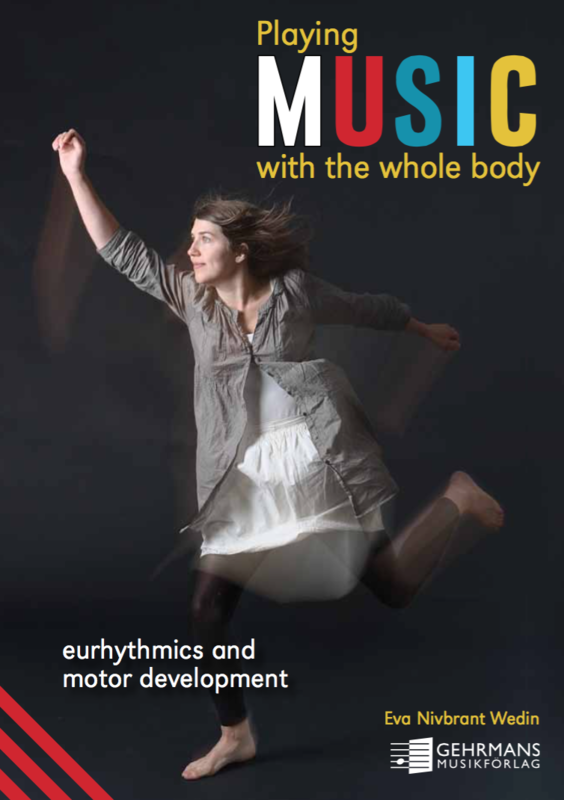 In addition, there is a section on children’s motor development and the relationship between Eurhythmics, motor activity, and playing a musical instrument.